Designed to minimize the possibilities of an allergic response for the skin with no potentially irritating substances. Has a quicker response at dispersing heat, keeps body temperature balanced, provides pain relief. Durfi owns a global standard infrastructure for manufacturing Durfi products. 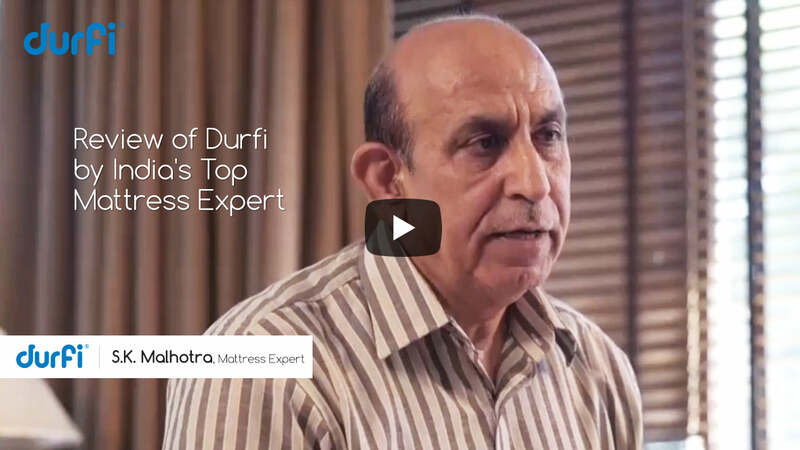 Durfi products are certified by global agencies, durfi mattress manufacturing unit located in Coimbatore, Haridwar, Meerut and Indore. 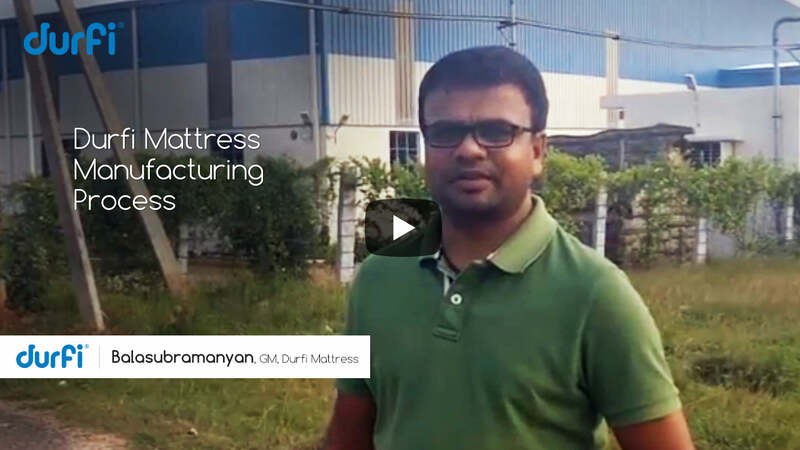 Proudly made in India and made for India, the Durfi mattress is fully customized as per each customer’s requirements and shipped directly from the factory to the buyer with no middleman involved. Have a quick run through on Coimbatore manufacturing facility, the facility spread across 2 Lakh square feet area. When it comes to choosing a mattress, there are a plethora of options available today, each with different options for size, style, material, etc. Every mattress company promises comfort, but none of them focuses on Indian sleeping patterns. Everyone tends to pursue international standards and sleep patterns instead. How about we start with understanding Indian sleeping habits, and how we all like to sit, eat, watch television and laugh together on the same mattress? Durfi evolved to fill this gap, simplify the sleeping experience and kick-start a comfort revolution. 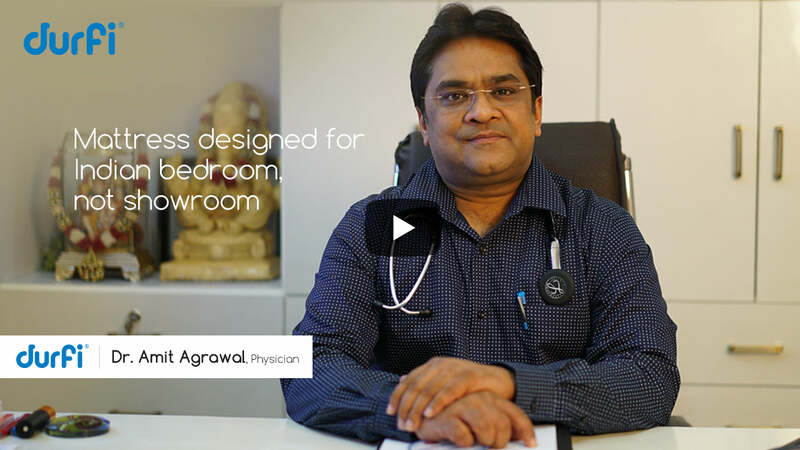 We aim to help people sleep better and feel better every single day, and keep India moving ahead! Durfi is a mattress that keeps your back aligned, while also giving you comfort and coziness. It does not have 10 layers of sleep comfort or any other fancy-sounding technology that makes no sense to most buyers. It has simply been developed with the best technology and quality materials available today. How about getting the benefits of different mattresses in ONE mattress? Made without compromising on quality, Durfi is an all-in-one mattress that has been carefully designed, developed and tested to provide you with the most comfortable night’s sleep. Durfi mattress is here to simplify your sleeping pattern, so you sleep well and wake up refreshed. After all, do you really need anything else?